Grown for its large, brilliantly colored spathes with raised veining. 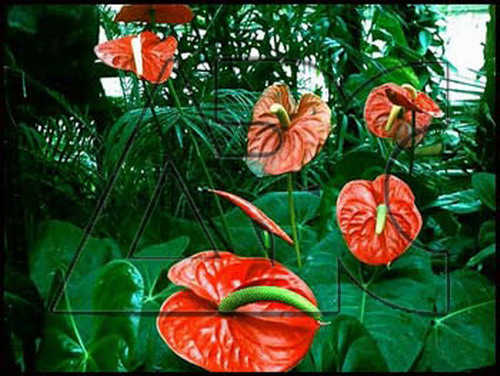 This species grows to about 60cm high with large heart-shaped leaves. The plants only produce one or two flowers at a time but they bloom all year. The spathes are so glossy that they appear varnished, typically bright red, but other colors have been bred including pink, and green marbled with red.